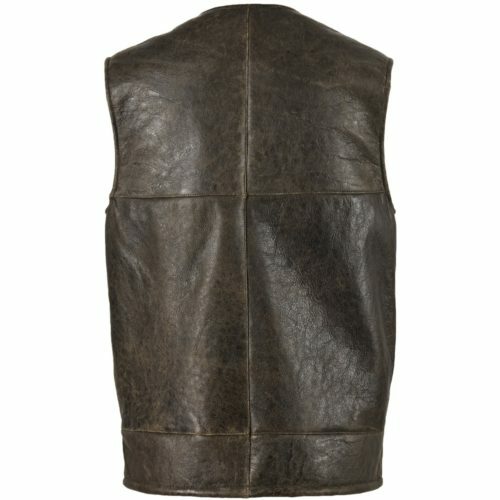 Fashionable and practical, our luxury men’s leather gilets provide cosy warmth and lightweight comfort all year round. 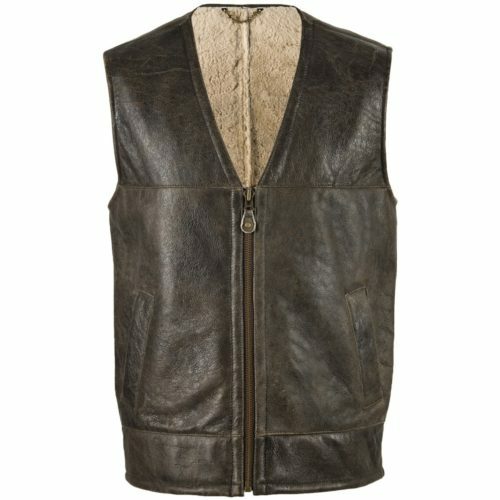 Taking on a sophisticated yet traditional look, our leather gilets combine style and practicality perfectly. They are incredibly warm – thanks to their careful composition with genuine, 100% high-grade sheepskin. Despite this, they are also incredibly lightweight and easy to wear. 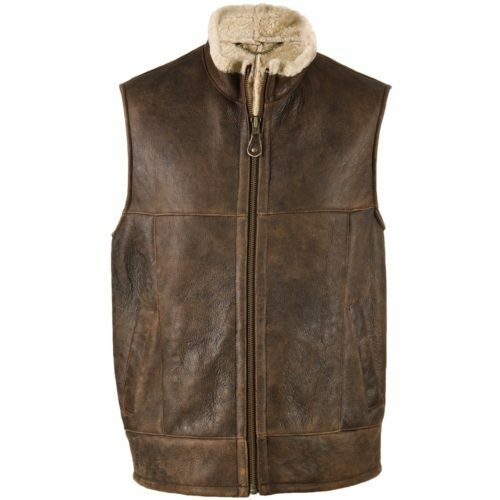 Soft, plush and cosy on the inside – smooth and weather-resistant on the outside, these sheepskin gilets look and feel fantastic. We only use the highest quality sheepskins and leather for our products – ensuring maximum comfort, insulation and longevity. This material is also breathable – reducing sweating and ensuring bacteria build-up will be kept at bay. 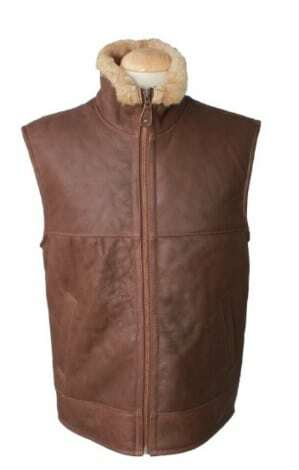 The beauty of these men’s gilets and body warmers is their versatility – as they can easily be layered over different types of clothing or worn as an additional underlayer on, especially chilly days. 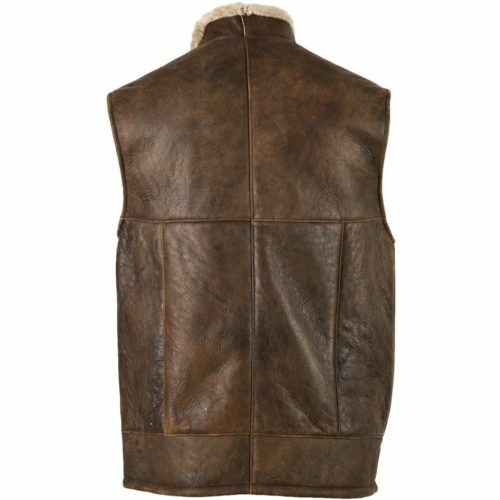 Whether you’re spending the day fishing or shooting, or like to take time out walking in the great outdoors, these gilets make welcome additions to your usual country attire. They’re also fashionable for a day in the city or an evening down at the pub or local bar – as rural trends such as tweed continue to dominate. Pair with a warm jumper and one of our tweed caps hats for country walks, or a smart wool coat and cashmere scarf for a classical yet traditional evening outfit. Plenty of sizes are available – from 38” to 50”. Choose from a range of colours including cognac, brown and black.